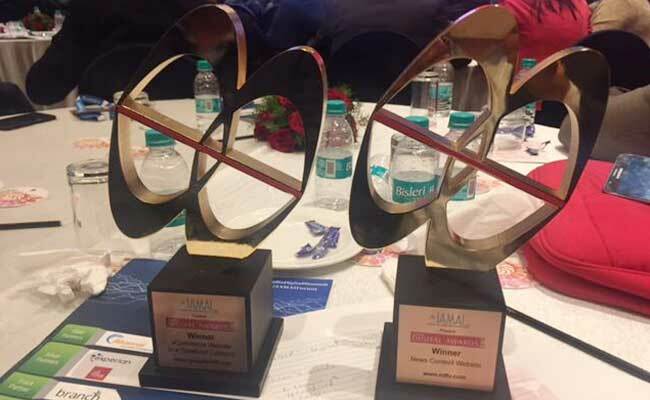 NDTV won big at the IAMAI 7th India Digital Awards. NDTV.com won the best news website award for the fourth year in a row at the prestigious Internet & Mobile Association of India (IAMAI) 7th India Digital Awards today. Gadgets 360, India's most popular technology news website, won the best in specialised e-commerce award. IAMAI is the country's leading association of digital companies. To win the award for four years in a row in a hot space, with plenty of new entrees, affirms the premium content of NDTV's site and apps.